Danny and Dino must clean their room if they want to watch their favorite TV show in the latest Dinosaur That Pooped story by Tom Fletcher and Dougie Poynter of the English pop punk group McFly. Danny and Dinosaur want to watch television, but Mom won’t let them until they’ve cleaned their room. So Danny thinks of a plan to make all the mess go away in one humungous gulp: he gets Dino to eat it all up! But just when they think they can get away with it, there’s a rumble in Dino’s tummy and another EXPLOSIVE adventure is about to begin! 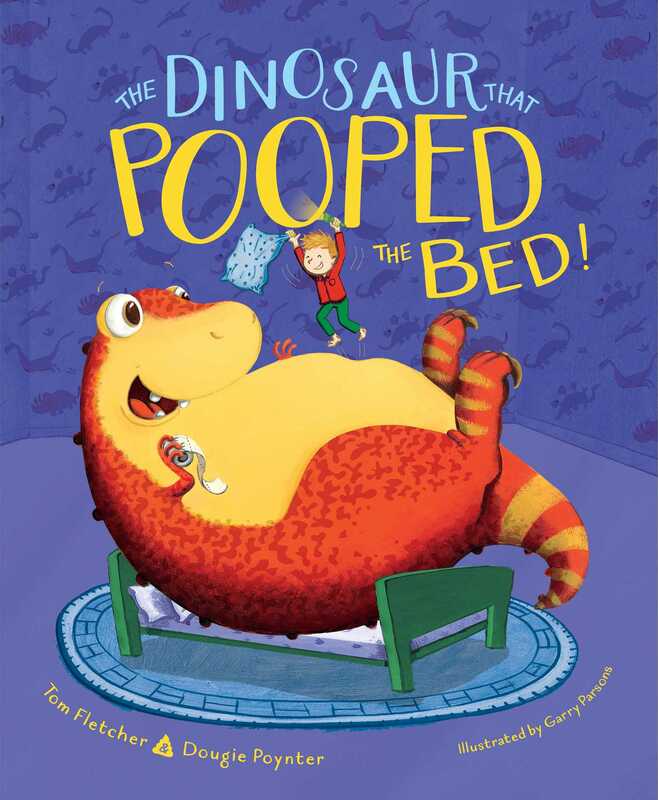 Book Cover Image (jpg): The Dinosaur That Pooped the Bed!